Kangaroo Island is bloody beautiful. The beaches are like a dream. 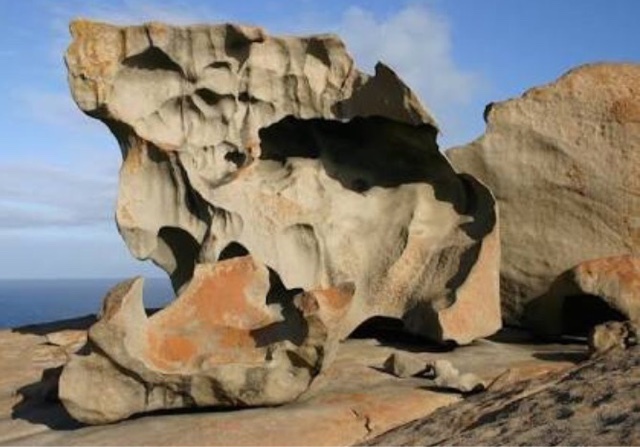 And then there's Flinders Chase National Park which is home to Admiral's Arch and Remarkable Rocks, which are, to say the least, remarkable. They are these huge sculptural geological beauties which really make you marvel at nature. And life. And everything. Admiral's Arch is also incredible. Although visiting on a day so windy you could basically lie on the wind at a 45 degree angle made the walk somewhat unpleasant, seeing the coast in those conditions was pretty spectacular. The wild wind and sea, a bunch of seals just chillaxing amidst it all. And the fish and chips down here, though terribly expensive, are among the best I've ever had. Oh sure, when you try to make a phone order the phone just goes to the owners mobile who isn't at the shop and just tells you to walk down there and order. And she's right, it is quick. And it's effing worth it. When we arrived on Sunday after the 9-hour drive, the brown hotel room, the $200, 45-minute ferry ride LB and I were saying, "Well this is nice, I can't imagine we'll ever be back here." By Wednesday it was "Next time we come let's camp for two nights here, book a house there..."
So I get it. 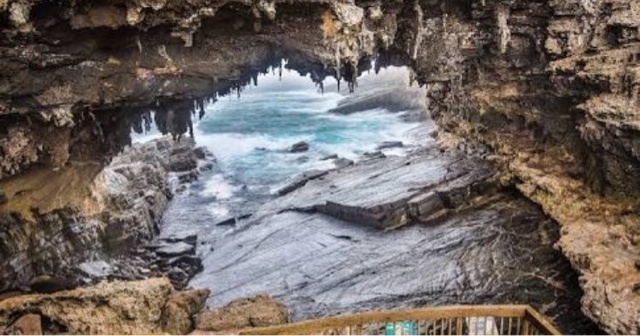 Kangaroo Island? Oh its beautiful.